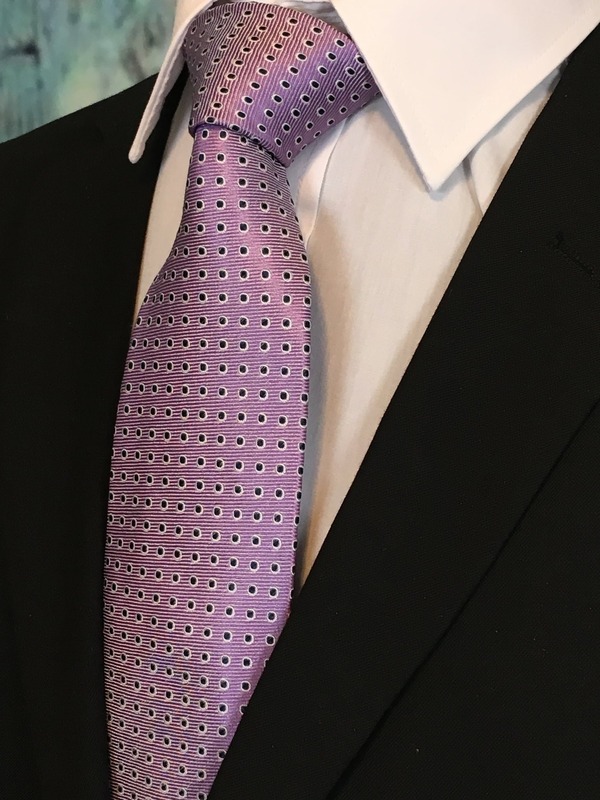 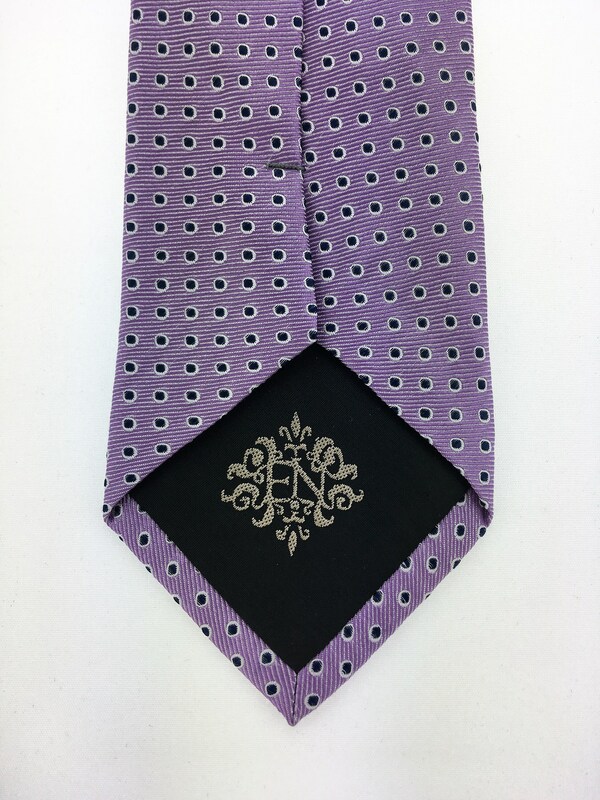 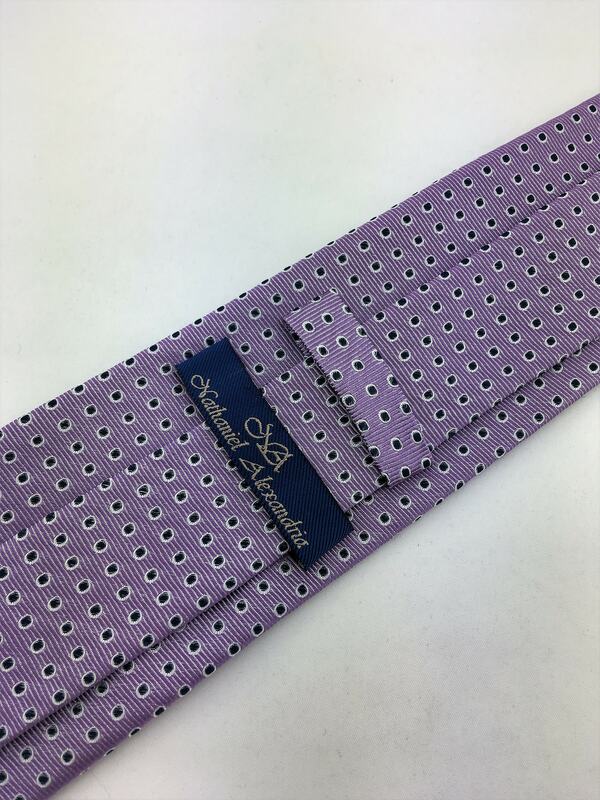 Mens 100% silk lavendar necktie perfect for weddings or the office. 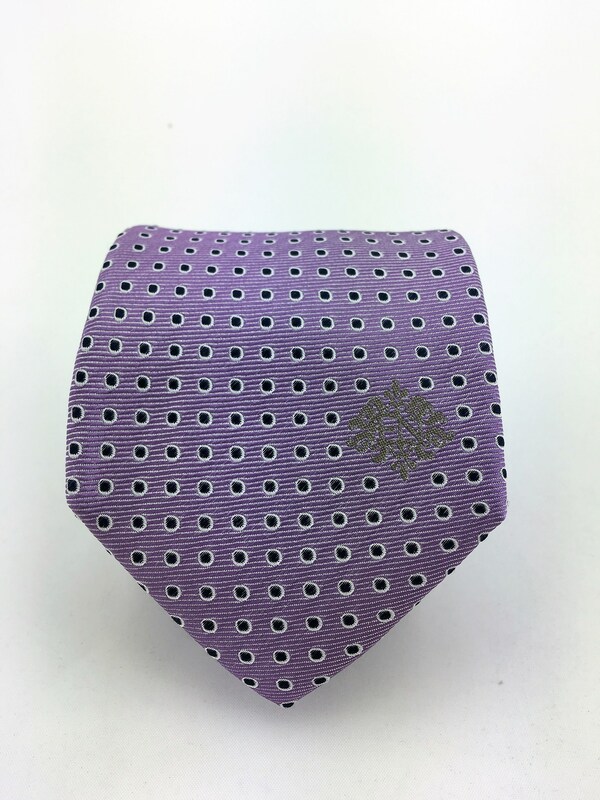 Features a lavendar background with black specks ourlined in white. 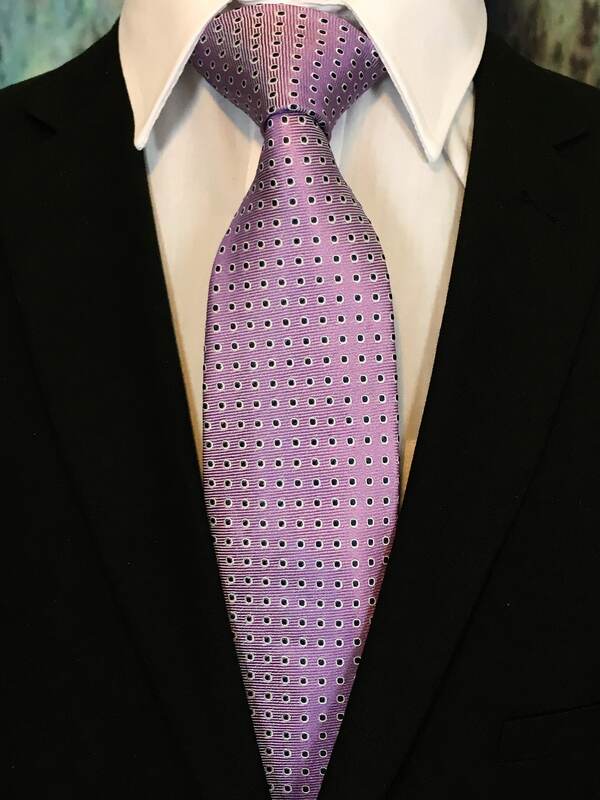 Availanle as a extra long neck tie.